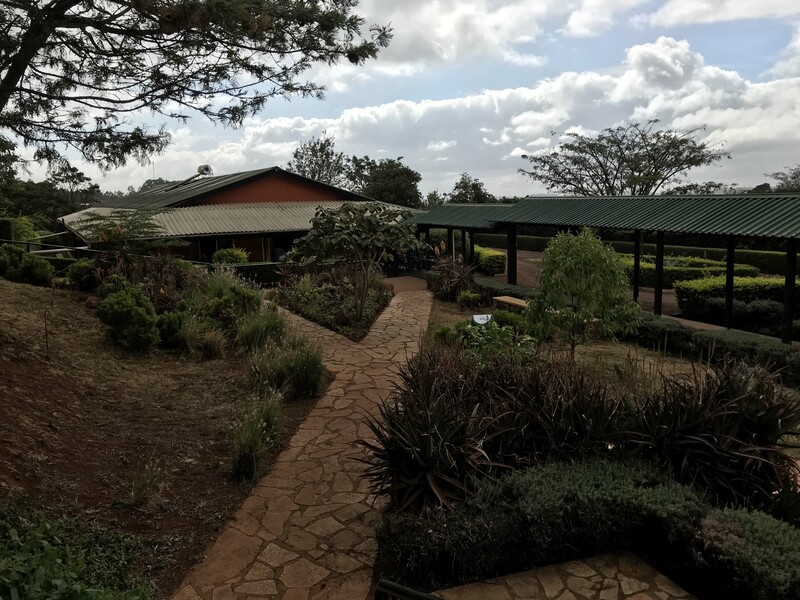 My final days in Arusha with some parting thoughts…. 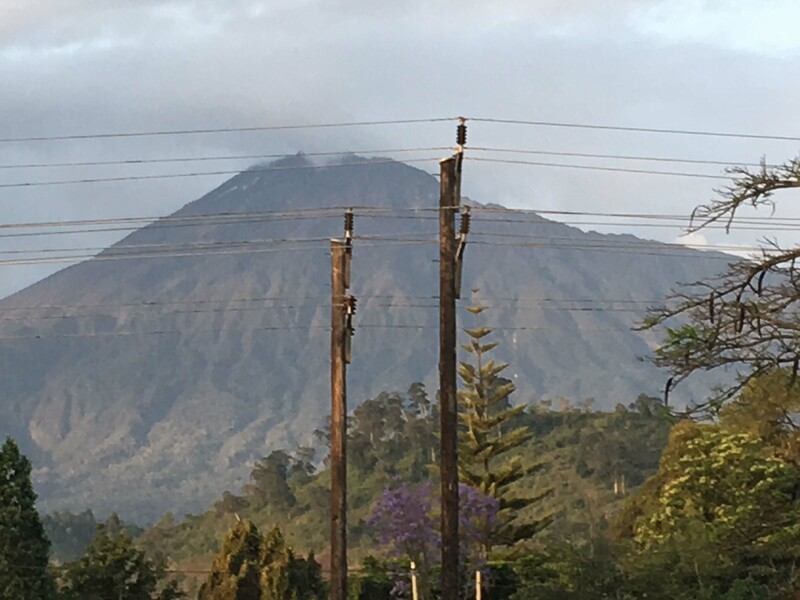 Having safely deposited the residents to the airport the day before, it was now my weekend to spend visiting friends in Arusha, and, perhaps even more importantly, spending time with the Temba children and their extended family. 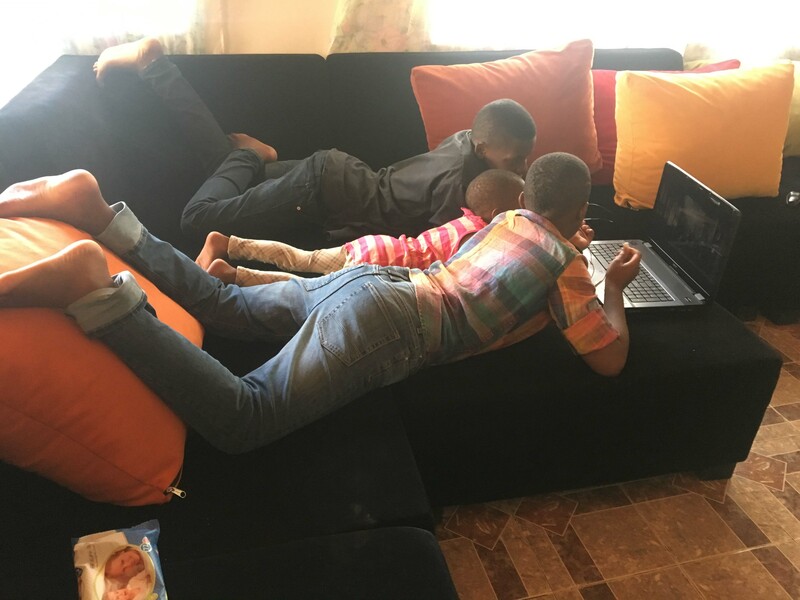 With both Lenox and Lee home from school in Nairobi, the house was full of teenagers and little ones. I’ve watched the two boys grow over the years, having first met them in 2010, and they have grown into two fine young men. Wesley, Leonard’s nephew, is a few years older and has also been a constant fixture as well since he had grown up with the family, living with them until just the last couple of years. And now there is Gabriella and Gabriel, two additional little Tembas, that have come along during my friendship with the family. This weekend, there were more children than I could count, which was fine with me as I had really planned to spend much of it just enjoying all the kids. On Saturday, I met with Jones (Leonard’s brother) and his children, with Lenox and Lee in tow, as there was a school outing for his oldest child, Janey. It brought back so many memories of doing this with my children, the hectic pace of kids running everywhere and enjoying their friends as only children will do. It was much as you’d expect, with four teams (each named appropriately for an African animal) all comprised of students from their school, competing in sports such as soccer (albeit on a much smaller scale than I’m used to here with Leonard’s all-star teams), three legged races and, finally, a tug of war between the parents, first the fathers and then the mothers. It was lots of fun as I sat on the sidelines with Jones, watching all the kids run and play with their friends and, for a brief moment, lose myself with a sense that I was back home with my own children in the past. They are wonderful memories. I had set Sunday aside to visit with all my old friends, as well as some new ones. Dr. Elibariki, the surgeon in Arusha who had brought some of his seizure patients (yes, everyone here does general medicine) to see us at FAME last week, had expressed an interest in getting together to meet before I left. 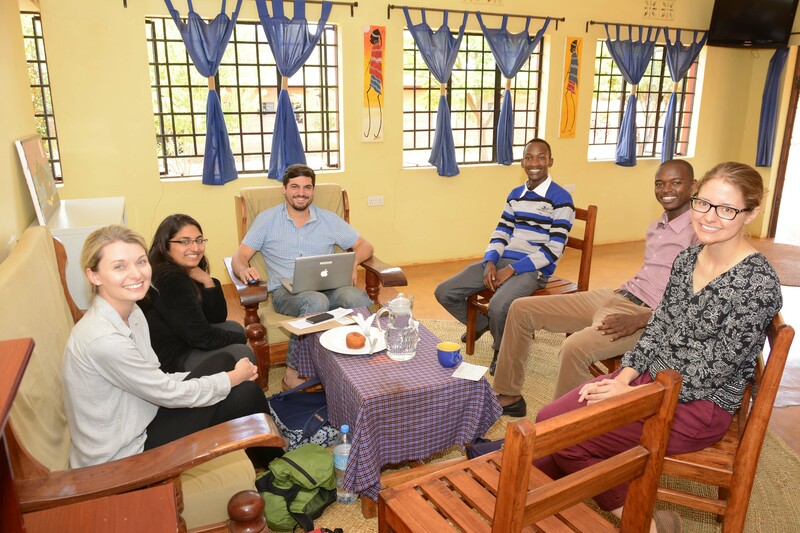 Daniel Yamat, who had originally introduced us last March, was also to come along, so we all met at Ellen’s, a small coffee shop near the clocktower in Arusha. 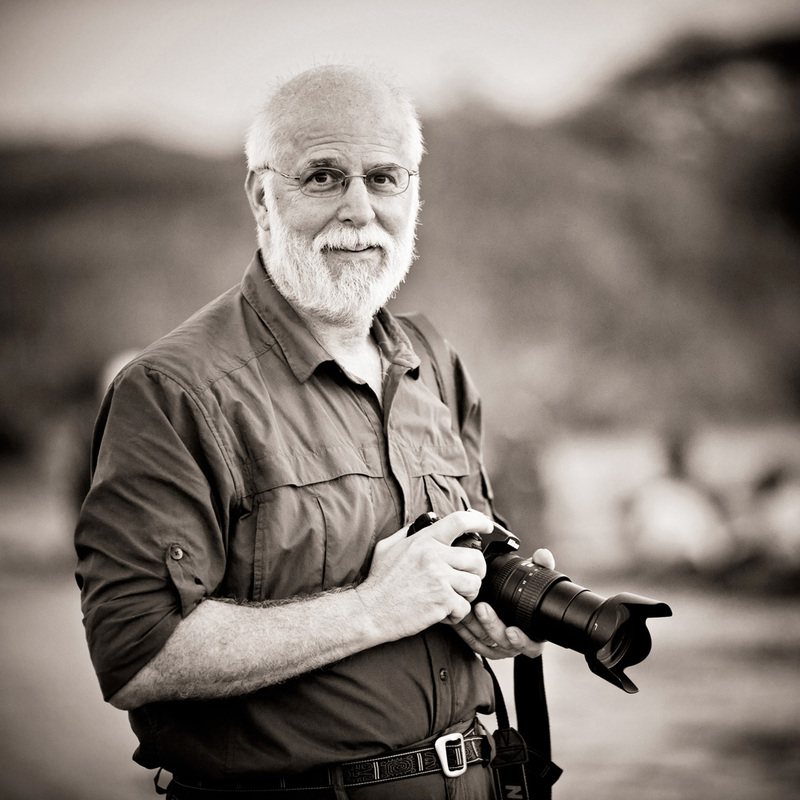 Daniel is a wonderful man, who is a veterinarian and currently the conservationist at a private reserve next to the Northern Serengeti, where he is working on repopulating 5000 acres of savannah where the animals had left due to farming and humans. 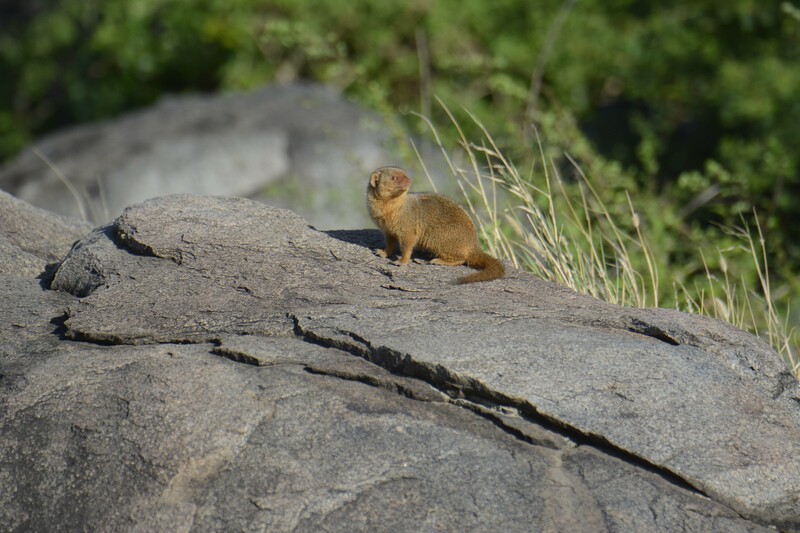 I had met him several years ago during a brief visit to the reserve as a guest of the owners and we had taken hikes and gone on night drives together, something you can really only do on private property here in Tanzania. 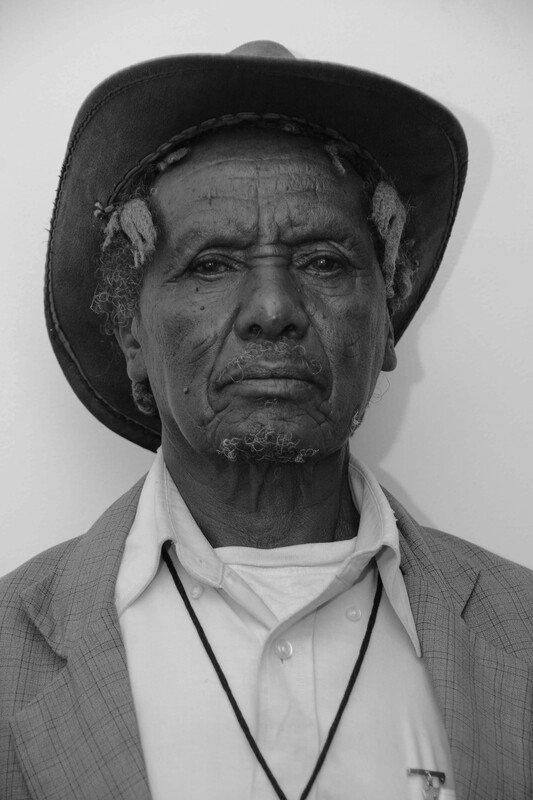 Daniel is a Maasai, whose father was an amazing and wise man that had attended college in the final days of the colony before independence, and had wisely sent Daniel to school and eventually college. I had the honor of meeting Daniel’s father during my last visit, though unfortunately, towards the end of his life when Daniel had asked me to evaluate him neurologically. When I had met him at his home, even with his incapacity, he was a truly remarkable man and, despite his inability to stand, was someone whose stature clearly could not be measured merely by his height. 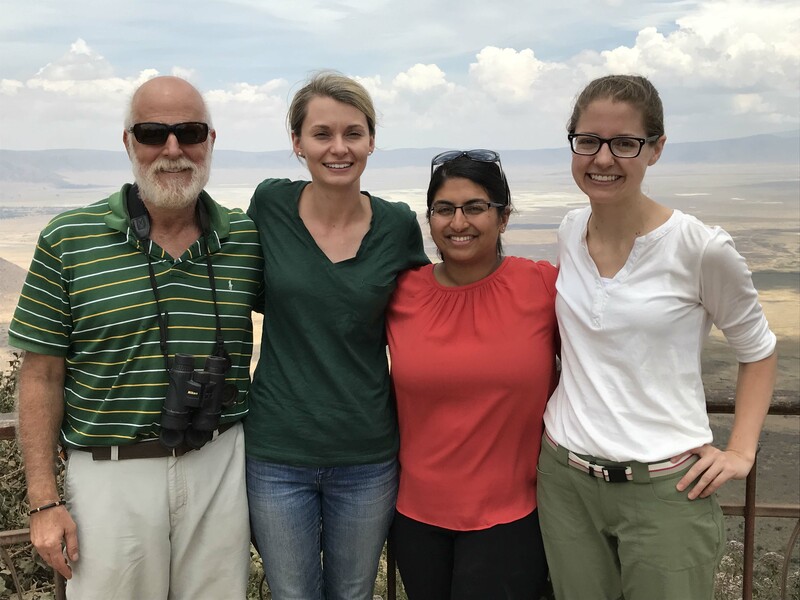 Shortly after my visit, he had succumbed to his illnesses, and both Tanzania and the world had lost an incredible individual, though I know his spirit will live on in his children and grandchildren. We had decided to meet after church and as we sat sipping our coffees (me, a Caffé Americano to their cappuccinos, they shared with me their vision and hope of what healthcare could be in Tanzania given the right circumstances and access to medical care. 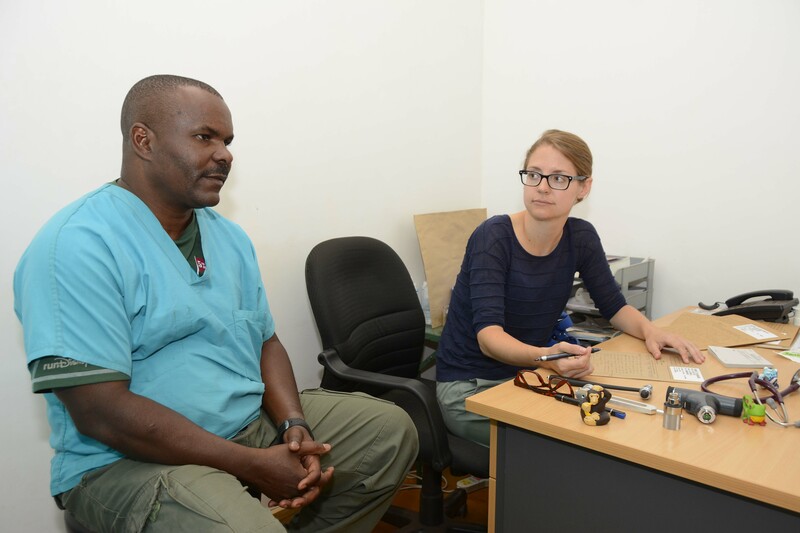 Elibariki is one of four general surgeons who currently place ventricular shunts in children, such as the child with hydrocephalus that we had seen at FAME at the beginning of this visit, but soon there will be a neurosurgeon here to help. 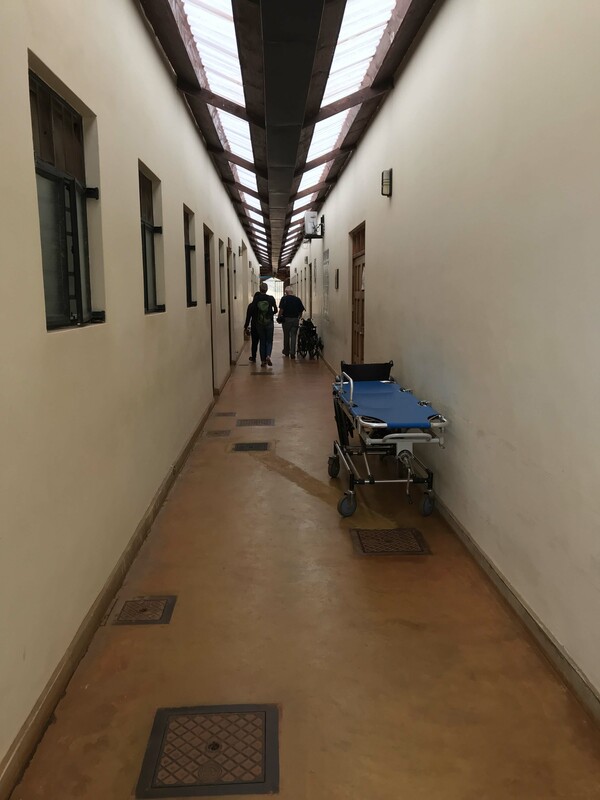 A colleague of his is currently doing a neurosurgery fellowship in Dar es Salaam (she has already completed a surgery residency and was already practicing) with plans to return to Arusha. 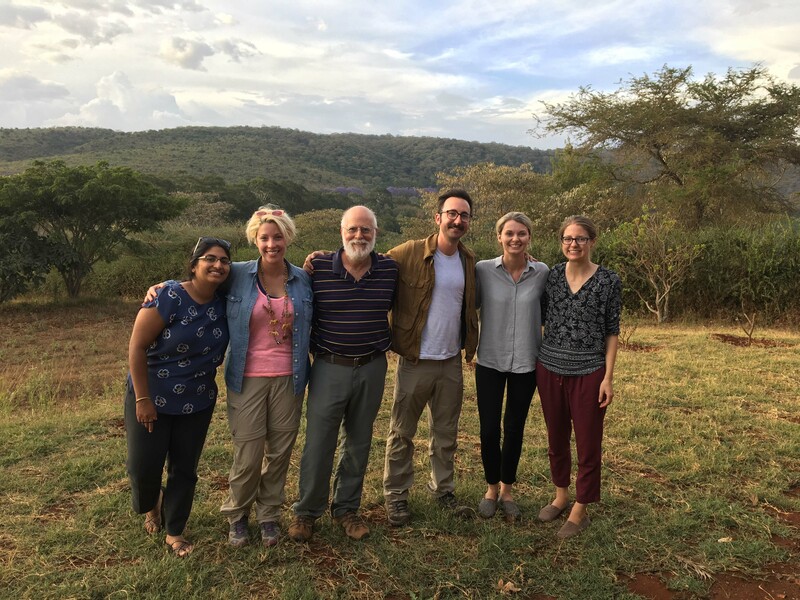 That would be an amazing turn of events for us, as currently, neurosurgical care in Tanzania is only available in Dar, an eleven-hour bus ride away and in a big city incredibly difficult to navigate. It is a trip that is out of the question for most of the patients we see at FAME. It is news such as this that brings hope to the future of what we are doing here, for as much as we can work to train clinicians to evaluate neurological disease, diagnosing conditions that require neurosurgical intervention is still nearly pointless as it is not accessible to the population of patients that we are seeing. I ran home for a bit, and then headed off to meet Jones at Andrew’s, a nyama choma joint that has the most amazing grilled chicken and goat that is to die for. In addition to Jones, Simon met us there (he had driven us to the Serengeti), along with several other friends/guides who I had met in the past. We sat for a long time just relaxing in the wonderful atmosphere here, both weather and company-wise. Lunch is usually well after noon and, as I had also planned to meet some ex-pat friends for coffee at 4pm, I just sat and soaked up the friendship and sun rather than running home for such a short time. As I left Andrew’s on my way to the Mt. Meru Hotel for coffee, I threaded the bumpy back streets and ended up on the Njiro road along my normal route that takes me away from the center of town towards the Nairobi road. Having thought that I was totally finished with the traffic police here (which was not to be), I rolled up to the road to make a left turn, when I spotted the traffic police dressed in their white uniforms standing across the road and far to my right. Suddenly, I realized that I had forgotten to put my seatbelt on, something I would never ever think of doing in the states, and as I reached over to draw it across my shoulder, the eagle-eyed officer spotted me and waved for me to stop. It was rather comical as I sat there while he crossed the street to come over and address me, for I already knew what the fine was going to be. Yes, the ubiquitous 30,000 TSh (approx. $14), that I have, unfortunately, come to know all too well. I just couldn’t bring myself to lie when he asked me why I had been trying to put my belt on and despite telling him that I had just left the restaurant (a rather lame excuse, admittedly), he proceeded to admonish me prior to giving me my receipt for the fine I was paying. It was a rather appropriate parting shot to have received, though, for this is no longer the rugged frontier that it once was, and I was soon to discover in, perhaps, an even more disheartening way. The Mt. Meru hotel is a bit of luxury in Arusha (there are others, of course) with its golf course (really? 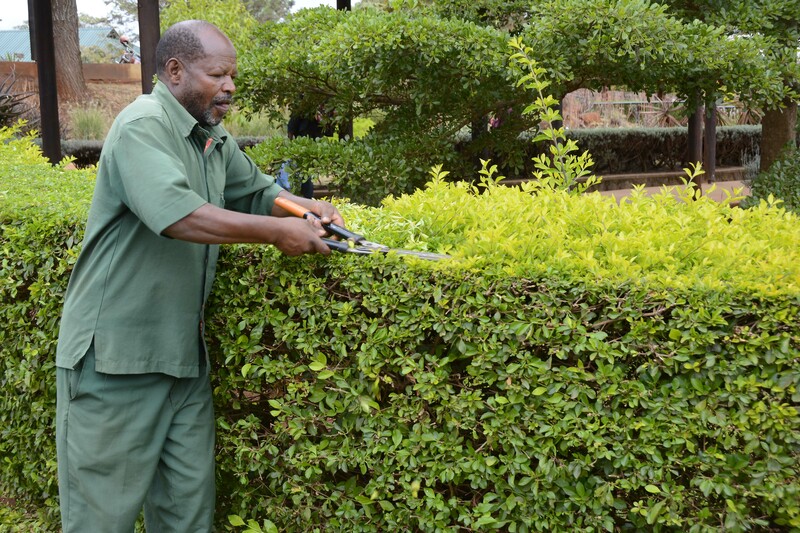 ), the only one in Northern Tanzania, if not the entire country, immaculately trimmed lawns and a host of other amenities. Dignitaries stay here when in town for obvious reasons. It has ample security for those who need be concerned (not me) and restaurants with safe food (OK, maybe this is a plus). I visited with my friends, Ruth and Wes, filling them in on our recent results from the trip (having seen more patients than ever) and some of my plans for the future. I have known them pretty much since I have been coming here so they have watched our program grow with time along with FAME. Leonard had been out most of the day working and doing errands, but we had planned to meet at the new mall in Arusha with all of the children since they have a “play zone” there for kids that would best be described as a Chucky Cheese in Africa. For those of you who don’t know what a Chucky Cheese is, I can only describe it as a place that you would do anything possible to avoid, as it is filled with dozens and dozens of screaming kids (only a few of who are your own) and I have memories of having to rescue my children, on at least one occasion, having gotten stuck somewhere climbing or inside a tube. 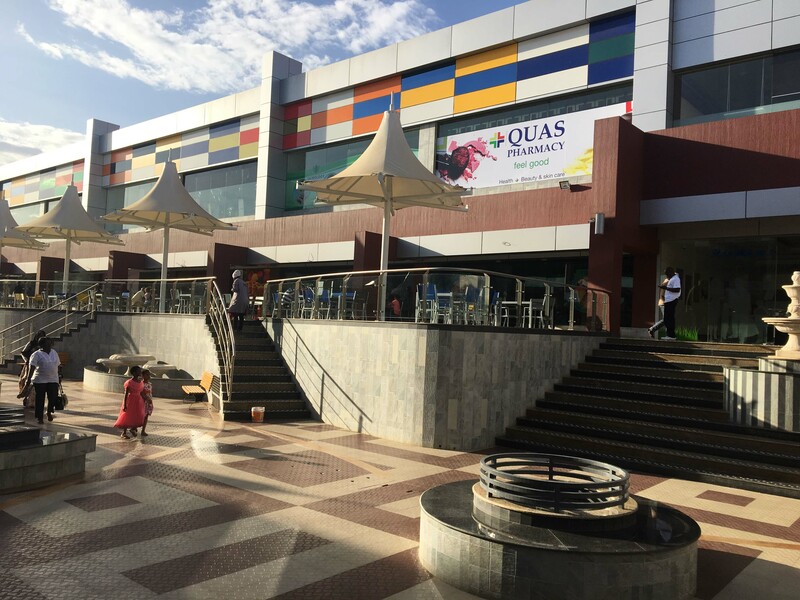 With that traumatic experience still in my mind, we departed for the new mall with all the children, and once there I was relieved to know that we could merely drop off all the kids and then head over to some outside tables where we could enjoy a cold drink. Jones and I sat and talked while we were waiting for Leonard, who eventually showed up to join us. So the disheartening part that I mentioned above has to deal with this new mall that only recently opened. Not necessarily with the Chucky Cheese aspect of the mall, but rather the mall itself, which could easily have been teleported from somewhere in the USA. 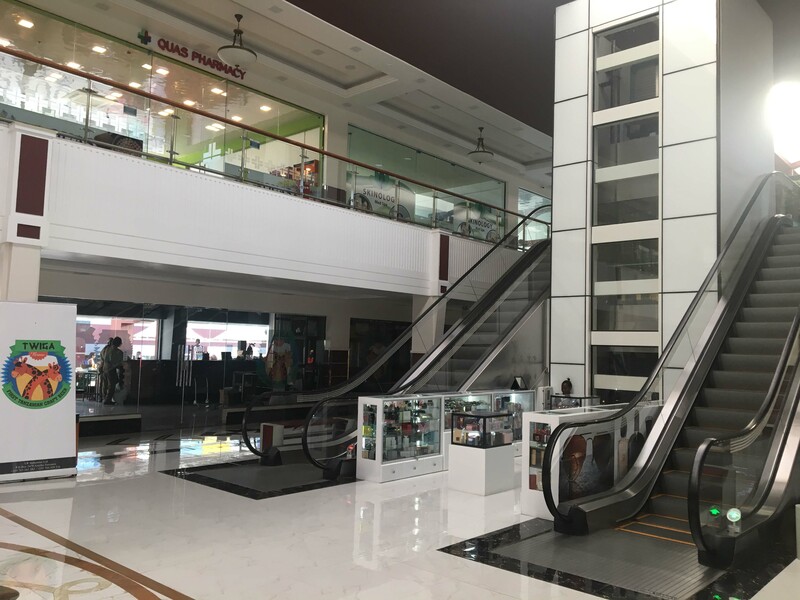 Escalators and all (I have never before seen an escalator here), it represents the epitome of what one comes here to escape and, while one can’t deny that it represents, in some way, a positive change for the country here, it also makes me feel like they have lost their innocence. But who am I to deny progress to a country and people that have struggled for so long to bring themselves out of the dark ages of colonization and having been one of the very poorest countries on the globe? I guess it’s all in the view of what progress really is and therein lies the problem (or “rub” as Shakespeare put it). I cannot help but view the creation of the “mall” as we know it here and elsewhere as anything other than progress and a metaphor for all that we seem to despise. 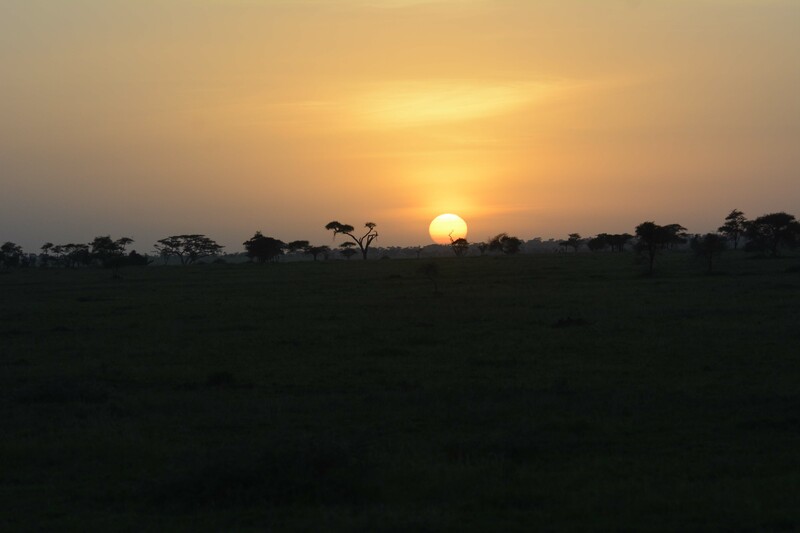 So I spent the evening sipping beers with Jones and Leonard at a mall that seemed so out of place with the lovely backdrop of a sunset in Africa, wishing I were back on the Serengeti with my friends and the flat-top acacias. After the kids were finished, we toured the inside of the mall and its escalators, representing much of what we all detest in the west, that now served as a novel “ride” for the children, who had never seen one before, riding it up and then down repeatedly, while no one was the wiser of what it truly represented. Monday was my day of departure and, having packed the evening before, I spent it relaxing with the children and running some errands. Jones and Simon had both planned to travel to the airport with me as Simon was going to visit his family outside of Moshi on the slopes of Mount Kilimanjaro and Leonard had left on Safari that morning. I put my bags inside the Land Cruiser this time, rather than in the boot, so as not to repeat the previous fiasco at the airport when the boot door wouldn’t open. I drove the three of us to the airport, getting my last bit of left-hand driving in before I departed, not to mention my love of driving in general here in Africa. This time, the traffic police left me alone, perhaps having been fully satisfied with the 70,000 TSh they had bilked from me over the last three days, or possibly because I made absolutely sure this time to wear my seatbelt, not exceed the speed limit and not pass a single car or truck without first making certain that I would do so while still having room to complete it with a broken center line still remaining. I’ll never know for sure, but I was just happy to have made it to the airport without a hitch this time. 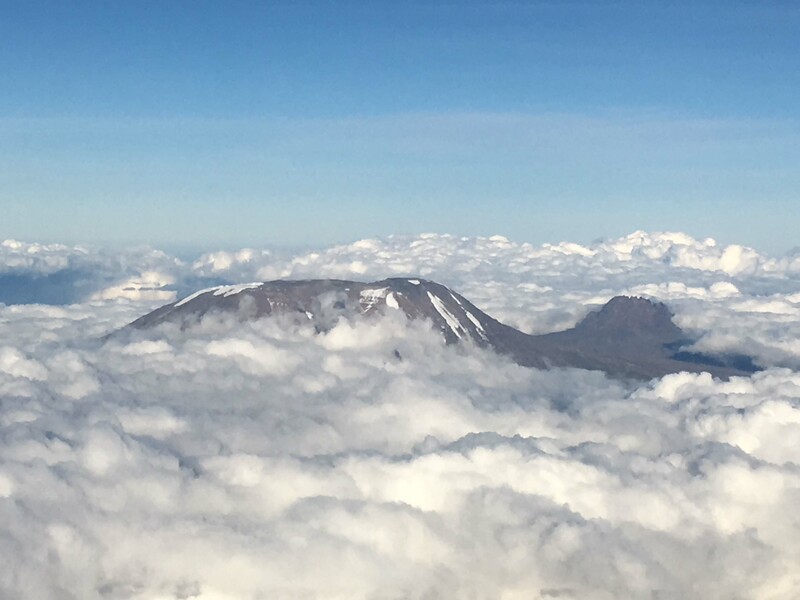 Amazingly, I had an entire row to myself on my first flight, and as we rose above the clouds, the top of Kilimanjaro, in all it’s glory, came into view, bringing back memories of our ascent of the peak two years ago, during a full-on blizzard. I hope to do it again someday, minus the blizzard, of course. 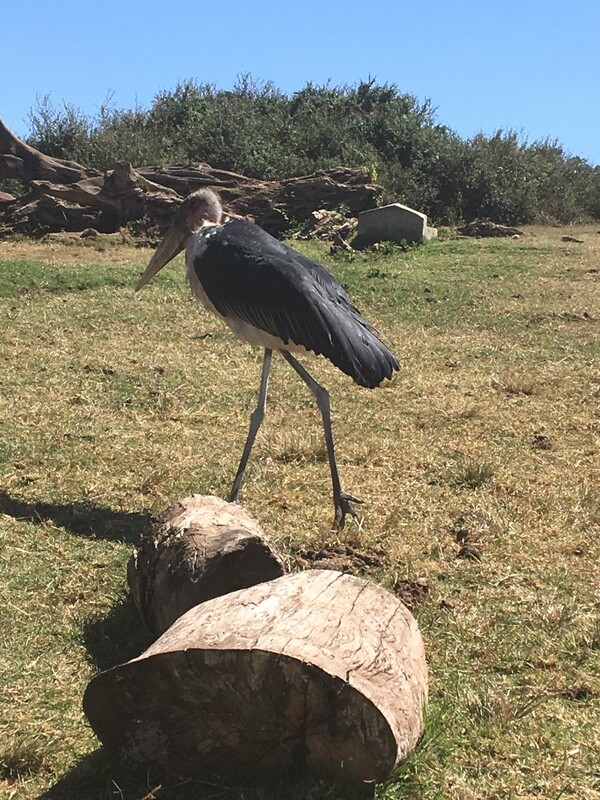 Africa, and Tanzania specifically, is such a land of ultimate contrasts, from the heights of Kilimanjaro, to the Serengeti with its Great Migration, to FAME and my second home here, and, finally, to the escalators at the mall. Some of its landscape will hopefully never change (though the snows of Kilimanjaro are disappearing at an alarming rate), while others must change with progress, whatever that may be. For me, though, it will always remain magical here in ways that will never cease to amaze and I will always continue to return to make it a better place in my own way. 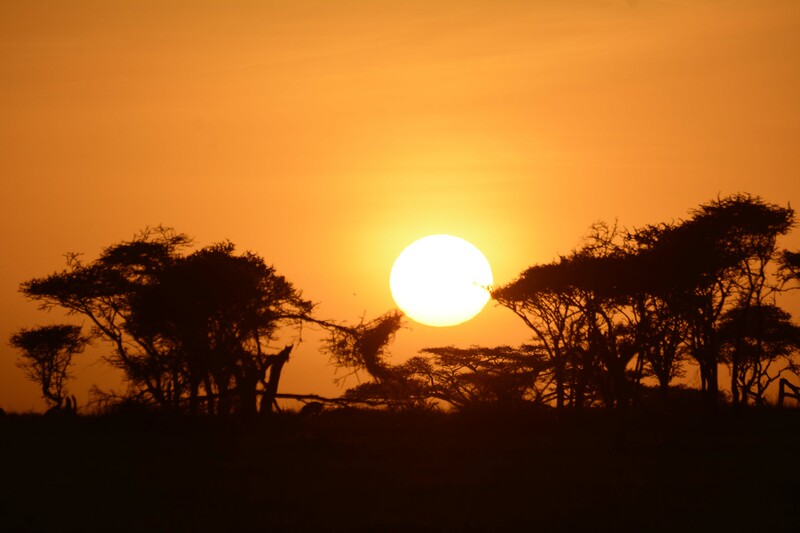 Postscript…If there is a story that best captures the magic and lure of Africa, it is Out of Africa, and the movie of the same name that is such a classic. A week after our return, the four of us reunited for a viewing of the movie as it had been some time since I’d seen it the full way through, and neither Neena nor Sara had ever seen it. It is a long movie, but having just experienced much of the same adventure (minus the near death experience of an attacking lion), it kept everyone’s attention until the very end and was a wonderful finale to such an incredible journey we had undertaken together. NOTE: I do apologize for the length of this post and the lack of photos. It was a very harrowing day (no spoiler alert) and there just wasn’t an opportunity to take pictures. I thank you for your patience. We were all packed and just had some loose ends to take care of at FAME, one of which was to go to our final morning report. We are there everyday at 8am sharp to hear about the patients in the ward and anything new that may have come in overnight. Presentations are always in English, even when we are not there, so it is easy for us to follow what is going on with patients we have seen, as well as those that we are going to see for neurologic problems. We are treated as fellow clinicians rather than guests. I have never felt like an outsider and I try my best to foster that same feeling by the residents. It’s not easy to practice in a completely different system than we do in the US, but it is also important to remember that it is the same medicine that we practice, so the basic premise if always the same. We help patients to the very best of our ability and we relieve suffering. We are not here necessarily to practice “Western Medicine,” as that would not only be unrealistic, but also impossible. We are here to teach the clinicians how to evaluate neurological patients, which is the same anywhere one cares for patients, and to help develop a treatment plan in cooperation that fits within the paradigm of care available here while also considering other options that also fit within that paradigm. 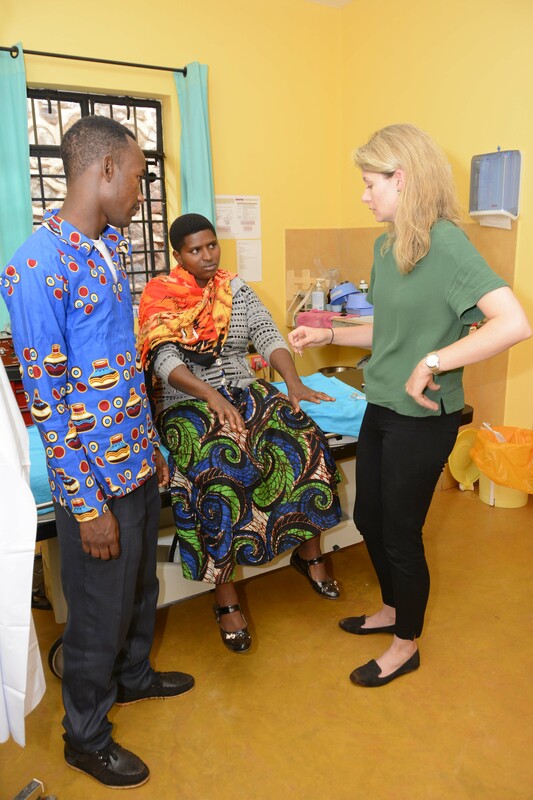 Teaching care that would be impossible to provide here, such as doing an MRI for every patient presenting with a headache, which is often the case, unfortunately, in the US (and can no longer be sustained for very long), would do a tremendous disservice to FAME, the Karatu community, and the people of Tanzania. 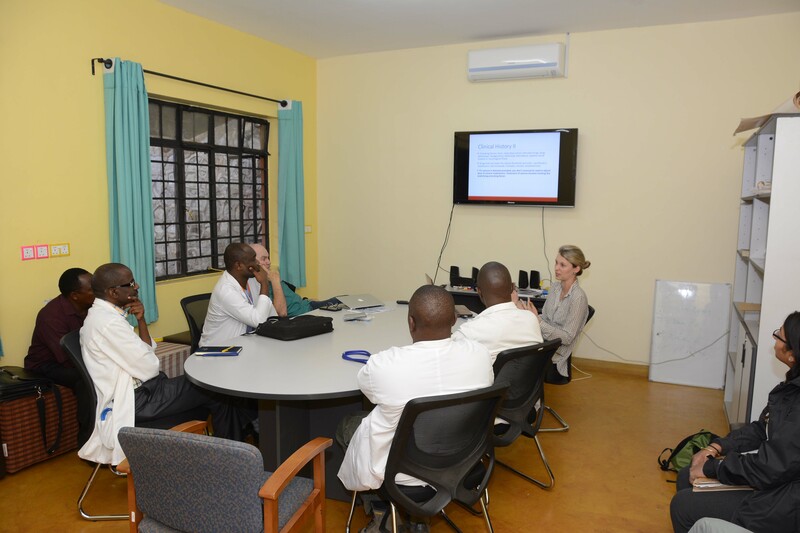 There is only one MRI currently available in Northern Tanzania, and that is when it is operational, which is not all the time. 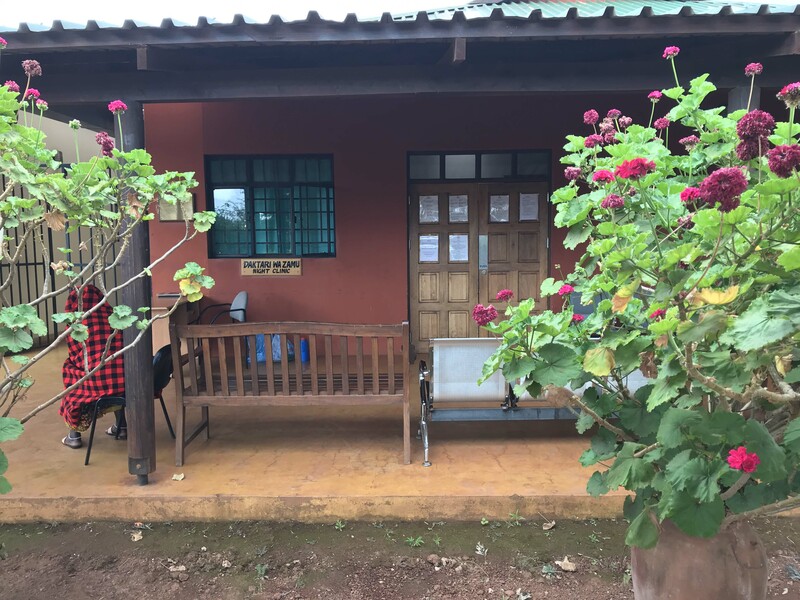 The medical school at Kilimanjaro Christian Medical Center, the only one in Northern Tanzania, only has a partially operational CT scan and no MRI. Our role is to enlighten, and to be enlightened. That is the beauty of FAME and its mission, which is often lost in so many other institutions and programs. 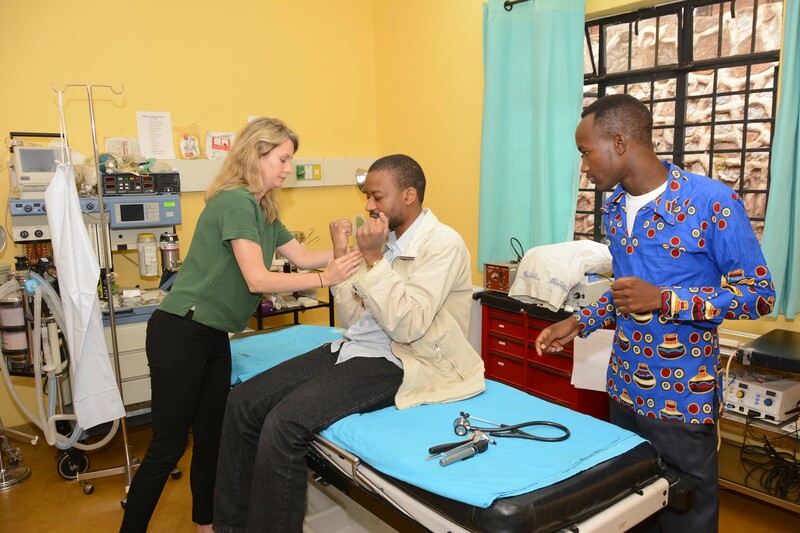 For it is only by providing this two-way learning experience and the opportunity to work side-by-side with the Tanzanian caregivers that one can really appreciate and implement to improve health care here in Tanzania and elsewhere. We had all felt truly welcomed for the entire month, and, most importantly, the residents, who have not been here the fifteen times that I have, were welcomed and appreciated. That was clear not only from the comments of Dr. Gabriel at morning report when he offered his and everyone’s thanks for our being there, but also from how everyone worked together during the month. It was a cooperative effort. We had one last patient to see after morning report that we had known about in advance so it wasn’t a burden. We took care of our 325th patient of the month and closed the books on another incredible visit, having seen the more patients than ever before. Each of the residents had seen well over 100 patients (I had seen only one patient by myself this visit, someone I had seen in the past and had asked to see me personally) during the month and had seen pathology they had never seen before, but had quickly recognized it. 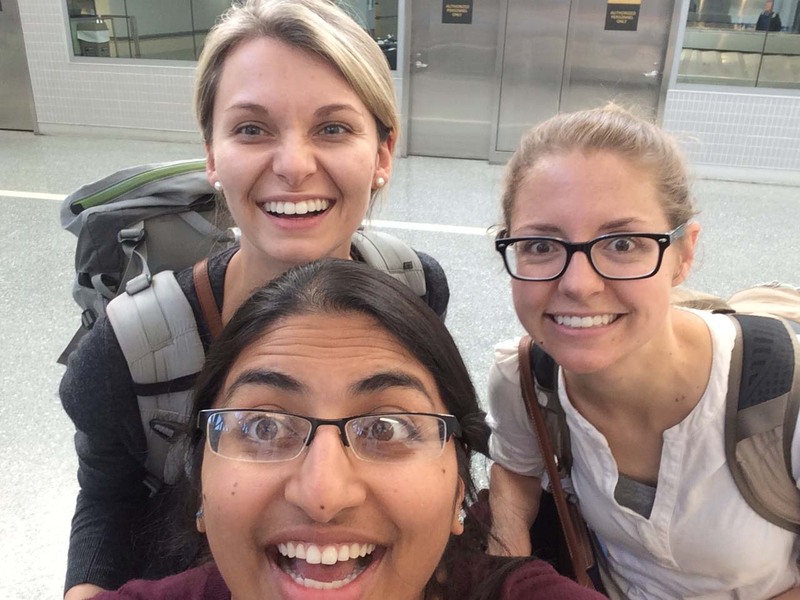 They had never appeared stressed from the volume nor did they ever shy away from volunteering to see that last patient in clinic, all despite the fact that they had seen far more patients than they would have ever seen in the same time period at home. We packed the Land Cruiser with everyone’s duffels and drove it up the parking lot to say goodbye to everyone we could find. As I’ve said so many times, it’s much easier for me to leave than it is for the residents, as I will be back in six months and the likelihood of their return is less certain, though it always remains a possibility. We headed down the FAME road towards town, having only to throw some fuel into the vehicle, buy some airtime, change some cash and then stop by Daniel Tewa’s to pick some extra coffee beans to bring home for friends, before departing Karatu on our way to Arusha. There was one last chore to take care of and that was to meet up with Ståle Anda, the Norwegian gentleman who so selflessly takes care of the children with neurologic impairments in Mto wa Mbu, so we could pass on some donations that I had received to be directed to him to assist with his children. I had texted him yesterday to let him know we would be passing through, but when I called him this morning, he was just leaving Arusha having to make an unexpected trip there. We decided to meet up in Makuyuni, a junction on the highway half way in-between Karatu and Arusha. As I pulled into Makuyuni and waited at the agreed upon spot for well over 15 minutes, we were bombarded by Maasai women selling their beaded jewelry at our windows, but there was no sign of Ståle. I had finally decided that we would have to leave, as we were already running a good hour behind schedule, and I would get the money to him another way, when, as I was turning back up on to the tarmac, who was just making his turn at the junction but Ståle. We both pulled to the side of the road and I ran across to give him the money we had for him, and then he came across to our vehicle to thank each of the residents, each of who inquired about the children he had brought and who they had seen. Father Bill from the Caron Foundation, a very good friend of mine and someone who I owe a tremendous amount to, calls these “God-incidents” rather than “coincidences.” I truly believe this to be the case. Our drive to Arusha was otherwise uneventful, though as I had mentioned, we were well behind schedule for the airport. We stopped briefly at the Shanga Shop, and then traveled to the Maasai Market, a permanent market here in Arusha that is comprised of probably over 100 stalls, most of which carry the same merchandise and all of which are manned by shopkeepers who can be very aggressive in trying to persuade you to step into their shop. It can be a bit nerve wracking and I warn each and every resident of this long before we arrive. We didn’t have much time, but everyone wanted to find just a few more gifts before they left, so I waited while the three of them shopped. 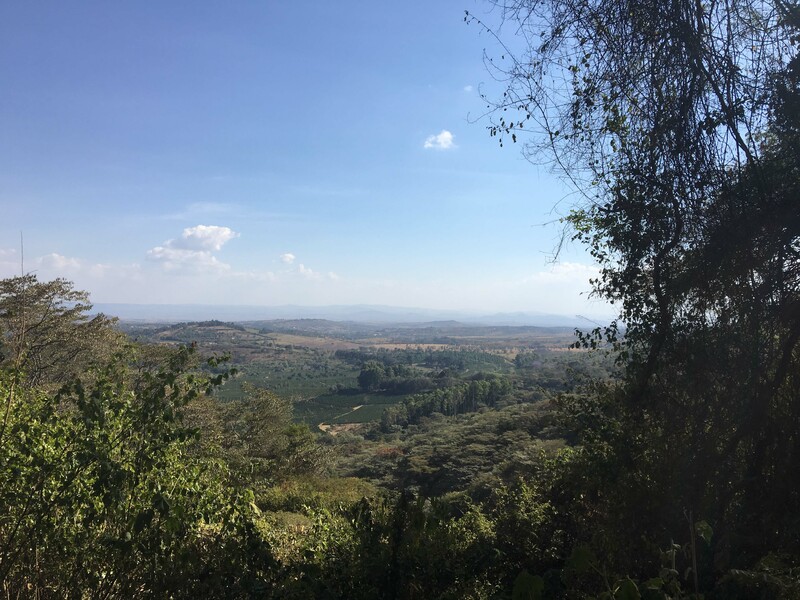 We were finally able to break free from the allure of the market and head to my the Temba’s house so they could say goodbye to Pendo and little Gabby, while also meet the boys. Pendo, of course, had prepared a small lunch for everyone so it was not until probably 3:00 pm that we were able to hit the road. I knew that things would be rather tight as I usually leave much before that, but at least we were on our way. The new four-lane highway had finally been finished in our absence over the last month but there was still an occasional vehicle traveling on the wrong side in the wrong direction and I was thankful that it wasn’t dark yet. The four-lane extends for perhaps 1/3 of the way to the airport perhaps, and after that, it’s back to the two-lane highway with trucks that inch, at best, up steep hills and practically stop at every speed bump. I finally decided that I had to pass and am fairly certain that I did so on a broken line as I had been fined for this in the past, but apparently I had finished the pass on a solid line. The traffic police, of course standing at just the right spot up ahead, waved me over in a flash. She asked for my license and when I tried to explain to her that I was certain the line was broken when I started the pass, she didn’t want to listen whatsoever and kept repeating, “Mr. Michael, you were overtaking where you can not,” or something to that effect. Despite my continuing to vigorously make my claim, she would have none of it and wanted me to pay the 30,000 TSh (less than $14) on the spot at which point she’d give me a receipt to ensure she wasn’t pocketing the money for herself, but that it would instead go to the government. This had been a problem in the past; fines going into pockets rather than the government, i.e. bribes, and the new president of Tanzania has cracked down significantly on this. We were already so late that I couldn’t really argue any further, nor do I think it would have mattered at all, so I paid the fine, collected my receipt and we were soon on our way, albeit a bit lighter in the wallet. We finally made it to the airport at around 4pm for a 5:40pm flight time and, though I knew it was pretty tight, I didn’t think there would be any issue getting everyone checked in. That was until I went to open the boot (back door) of the Land Cruiser and found that it didn’t want to open. I had put all of their luggage in the back so it would be together and easily accessible when we reached the airport. This is not a locked door mind you, but the back compartment is completely separated from the inside of the vehicle by very strong bars making it virtually impossible to get anything through by reaching into it. Likewise, there is no handle on the inside. I tugged and tugged on the handle to no avail and finally resorted to some very strong flat footed kicks that I am told completely impressed the residents as they didn’t think I had it in me. Finally, a few of the workers at the airport pitched in to try, but were also still unsuccessful in getting it open. Neena finally suggested that perhaps they should just fly without their big duffels and I would bring them with me when I flew home, which was an excellent alternative, but would likely be very costly. Fifteen minutes had gone by during which the clock was continuing to tick as they really needed to check in and we would soon be risking them missing their flight. At the very last minute and why, I am still not sure, the door popped open as if it were a test of will and had finally decided that it had enough fun with us. I quickly removed the bags and got them on their way to the front door of the terminal, which was as far as I could go. 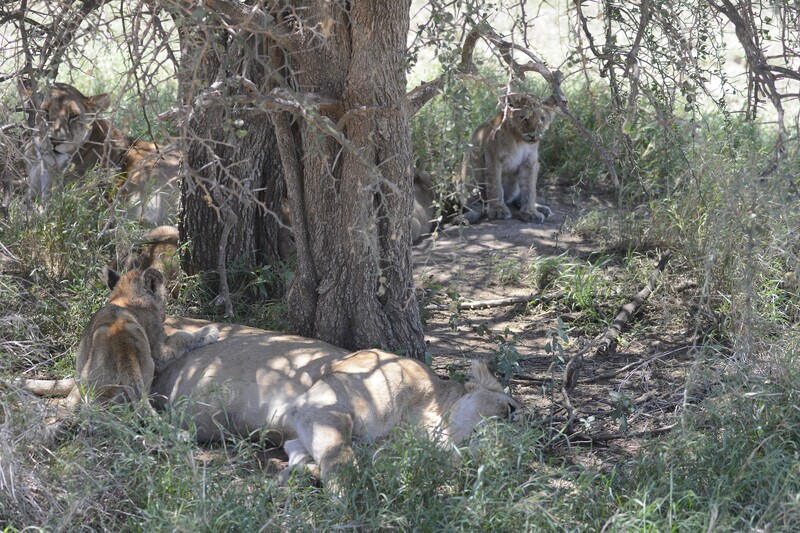 We bid farewell with hugs and shouts of “safari njema” (safe travels) and they were finally on their way. I watched through the glass as they each approached the ticket counter to make sure there wasn’t an issue and watched as they went off towards immigration. Not the type of send off that I had planned and I must admit that my nerves were just a tad frayed from the drive and the boot door sticking, but in the end, it all worked out. I decided to take my time driving home considering the harrowing time I had had getting everyone to the airport. I grabbed a Fanta Passion (our favorite drink here along with the Stoney Tangawizi – strong ginger ale) for the drive home and headed back out onto the highway. Nearing Arusha, on the four-lane highway and just about to take my turn off onto the road to Njiro, I was once again pulled over along with a number of other vehicles. An officer walked up to my window and again asked for my license. I was still a bit baffled as to what I possibly could have done when he told me that I had exceeded the speed limit and was traveling 55kph when the limit on the four-lane highway was 50kph. Now mind you, there are no posted speed limits on the new four-lane and the speed limit traveling through a village on the two-lane highway is 50kph (i.e. pedestrians crossing the road in front of you) while the remainder of the road is in excess of 80kph. Also, remember that 50kph is only 30mph and pretty much a snail’s pace. Basically, I had no defense and he told me that I’d have to pay the same 30,000 TSh fine as before. I went through my wallet and found that I had only 23,000 TSh there along with a $50 bill that wouldn’t do me much good in this situation as I certainly wasn’t going to hand that over as I’d rather have them haul me off to jail. I kept telling the officer that I only had the smaller amount and he kept telling me that he wanted the full amount which I didn’t have and wasn’t possible. We were at this standstill for a bit and I wasn’t in a rush this time so I just sat there smiling at him. 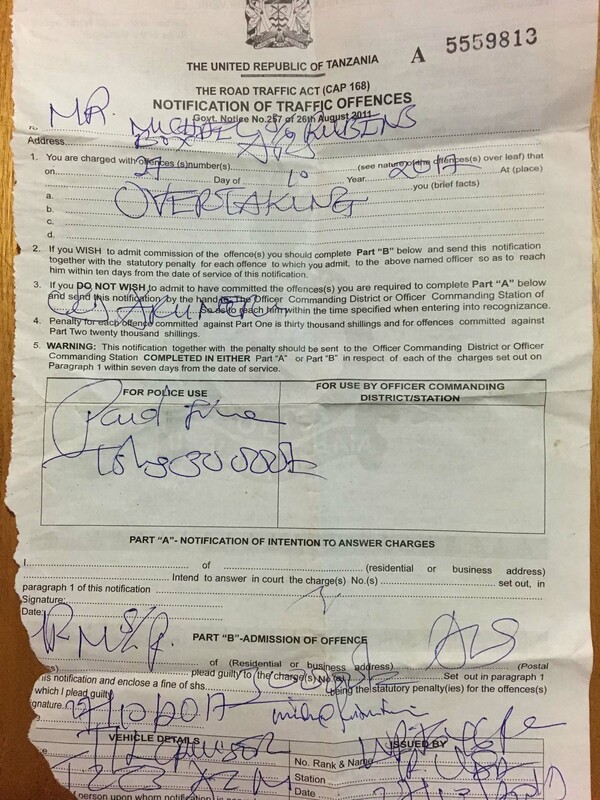 He apparently became frustrated with me and finally called over a senior officer who came up to my window smiling, telling me that the fine was 30,000 TSh. When I explained the situation to him, he had a bigger smile and said, “10,000 shillings and no receipt.” Having no good alternative to the situation, I was more than happy to hand over the 10,000 TSh (slight more then $4), even though it was promoting the old style of doing business here, namely bribery, which everyone detests, but still exists. So much for my civics lessons as I drove home very slowly, staying on the right side of the white line at all times regardless of how slow anyone was traveling in front of me, with the hope of avoiding a trifecta for the day. Such is life here. I did make it home and had absolutely no intention of going out on the road again that evening. I spent time with the Temba boys and little Gabby, counting my blessings that I was safe and sound, and that the residents were safely on their way home to the US after such an amazing adventure that we all shared together. Four weeks of seeing patients at FAME and in the bush, traveling to three parks and seeing the great migration in all it’s glory, enjoying dinners and lunches together and learning another way to live if only for a short time, we have each become that much better of a neurologist for it and that much better of a person. It is these experiences that will last a lifetime. 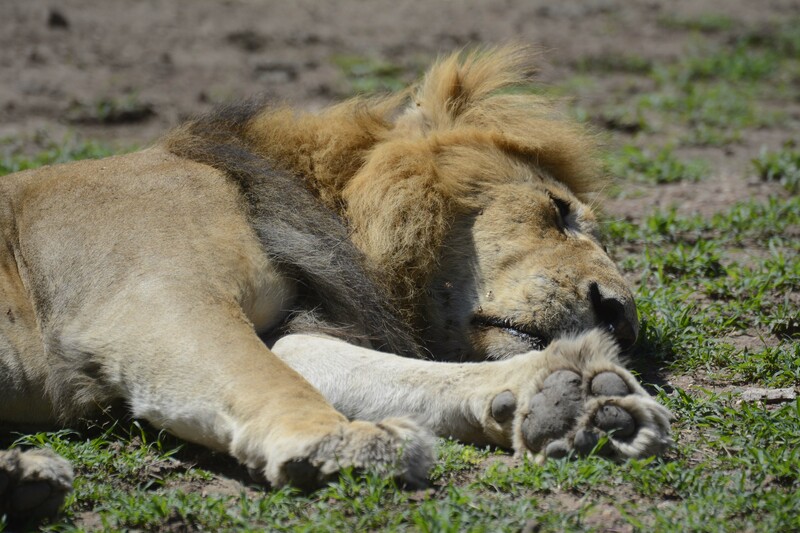 We had originally be scheduled to leave for Arusha on Thursday (tomorrow), but I decided that it would be more comfortable for everyone to stay here tomorrow night and leave for Arusha Friday morning since the residents were not departing until the evening time. Today was supposed to be our last clinic, but we decided to see patients tomorrow if necessary, and, as we’d soon find out, just being here is akin to being available to see patients. Today’s clinic was again fairly full, though we didn’t have to turn away anyone, which was important. We ended up seeing approximately 25 patients when I had a maximum number of patients set at 30. Being here for the month often allows us to see patients back in follow up after initiating therapies to make decisions about doses, side effects and effectiveness of the treatment plan. 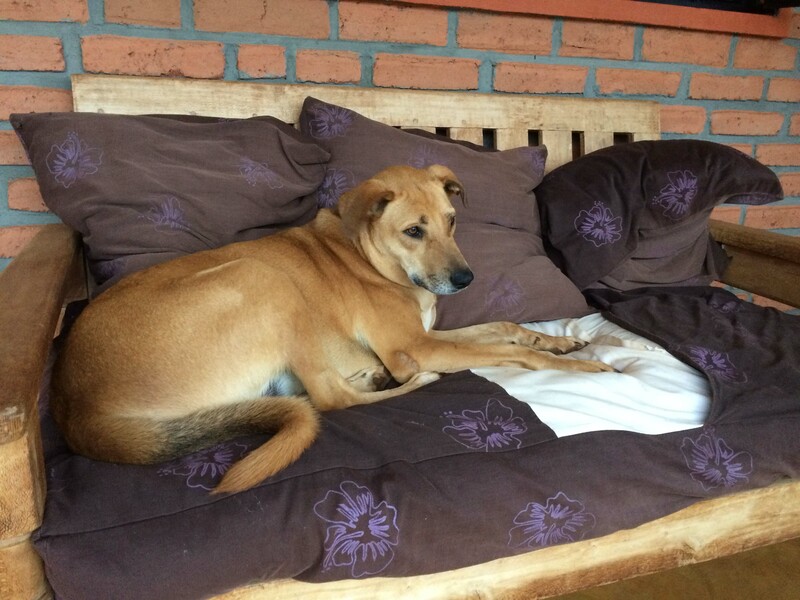 One such case was a patient of Sara’s who had come in earlier and was now being seen back in follow up. The child was about two years old, I believe, and was not only delayed in its development with some mild hypotonicity, but was also having some abnormal movements that were difficult to tell whether they were seizures or some choreaform movements. The movements were quite frequent so it would be easy to start the child on phenobarbital and then bring her back to see if it had any effect on the movements. Also, if they were seizures, this might also have been contributing to her developmental delay in which case she might improve if they were treated effectively. Much to our pleasure, when mom and aunt returned with the child, they reported that she hadn’t had any further movements since starting the phenobarbital. And perhaps even more importantly, the child was clearly more alert when she returned suggesting that the seizures were indeed contributing to her delay in some fashion. Her family was quite happy with the results so we continued her on her phenobarbital and instructed the family to bring her back to FAME if she began having movements again in which case her medication could be increased. We also encouraged them to return to see us in March when we’re here again so we could reassess how the child was doing. 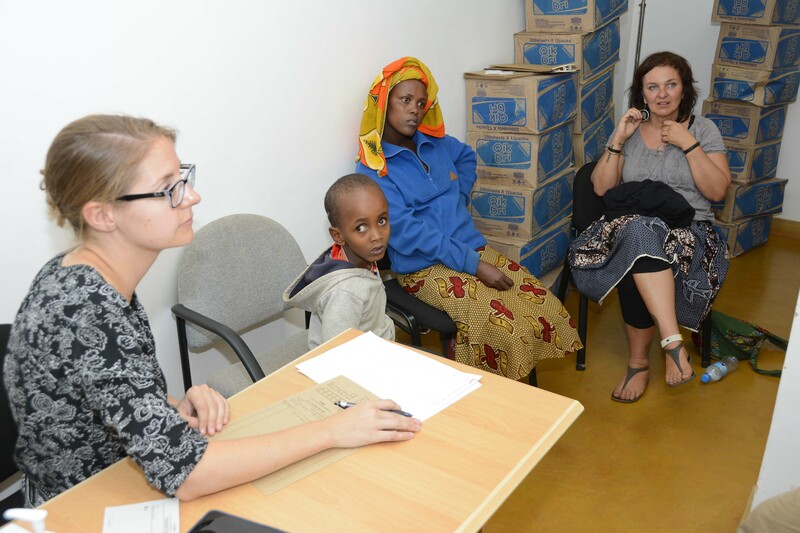 We did see a number of other follow up patients during the day, to check up on their medications and results, and even though most were doing better after being seen, none that day gave us quite the feeling of satisfaction as our young seizure child. Often, though, it can be something quite simple that we are helping with, but it still makes a huge impact on the patient and family and we must always remember that. In a place without neurologists, providing even the most minor of diagnoses can make a huge difference in someone’s quality of life or prevent them from being treated by with the wrong medications. 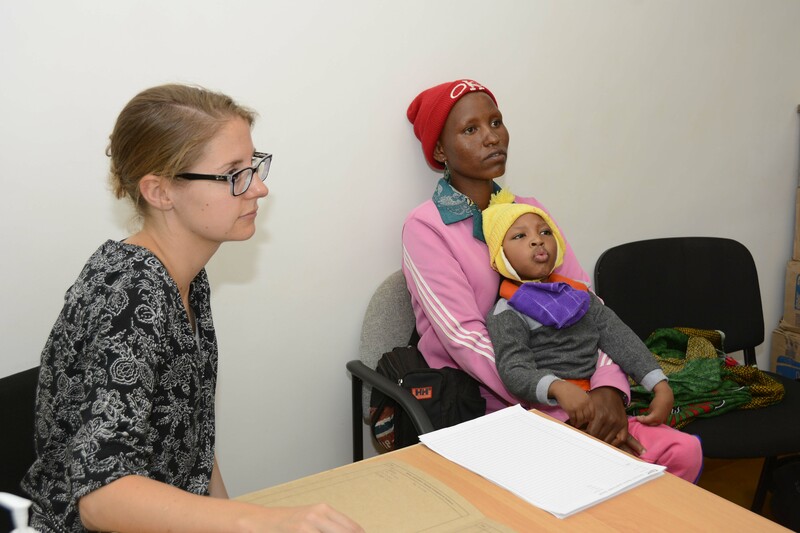 A young man we saw several days ago that came from Arusha had been seen in Nairobi and Dar by specialists and had had many imaging studies for his diagnosis of epilepsy, but in the end, it was the video that his parents provided to us that made all the difference. He was clearly having non-epileptic events based on the video, but unfortunately we couldn’t be 100% certain he didn’t also have epilepsy, so we continued him on medications, but counseled the patient and family on our concerns. When we return in March, hopefully he will be better and we can consider discontinuing his AEDs. Walking home along the corridor between the hospital wards and the operating rooms. At the end of the day, we were able to relax just a bit with dinner and then had plans to go out to Happy Day (not “Days” as I had previously noted as someone pointed out the sign to me this evening), which is the pub where all the expats now meet on Wednesday evenings. It’s a large multinational group and tonight I spent quite a while speaking with a gentleman from Canada who has been coming for seven years as part of their non-profit project to build schools, having just completed a vocational school, that they then turn over to the community and the government. 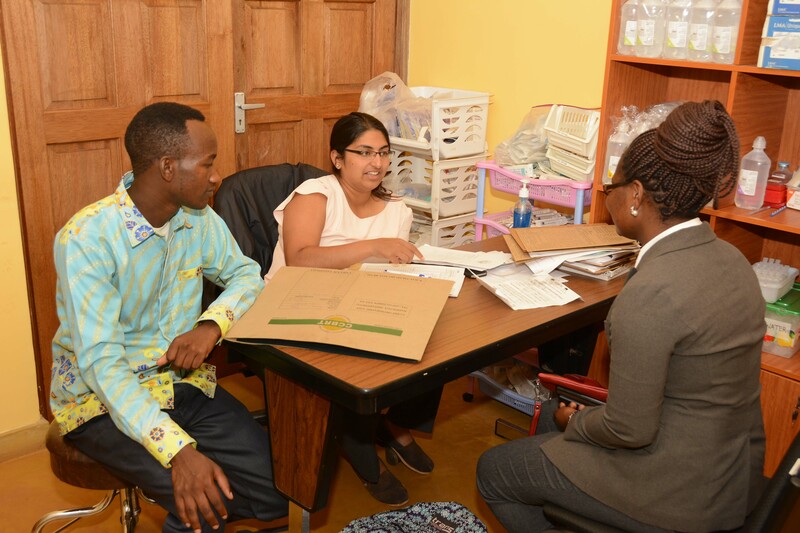 Their program has been very successful in bettering the education of students in the area. It was so refreshing to speak with others about the work they were doing and we were again the only medical volunteers there. 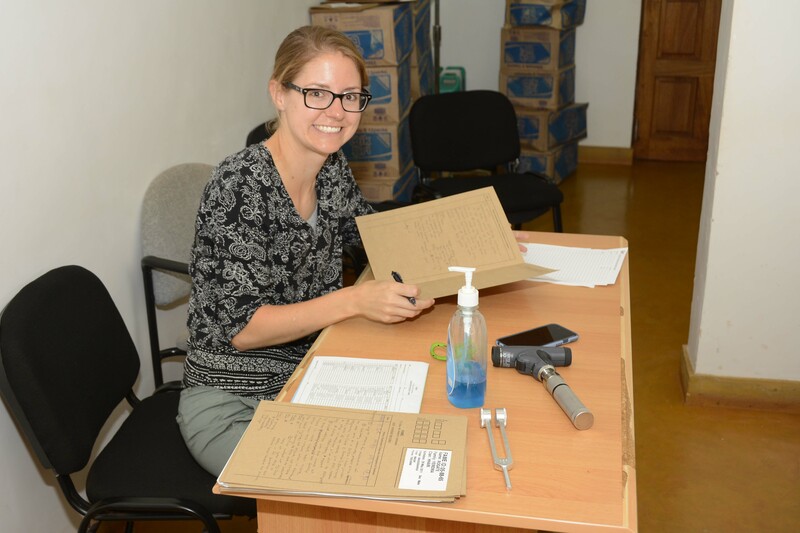 Others were educators, engineers, accountants and the sort, all here for various amounts of time to give of themselves volunteering or either accepting small stipends to better the lives of Tanzanians while they are here. Though there is a significant generational gap between myself and most of the others here, there is still a camaraderie generated by the work everyone is doing along with the sense of well being that comes from volunteering. It would be remiss of me to fail to include the fact that after Happy Day, we all ambled over to the Golden Sparrow, which is the new dance club in Karatu, to listen to some music and do some dancing. Everyone enjoyed himself or herself and it was a great way to release any stress one had from the day of seeing patients (though I honestly can’t imagine having any here, despite the long days). It was a wonderful time for all and I think everyone slept a little more soundly this night, as we would have our final, though, unofficial, day of seeing patients tomorrow. October 24, 2017 – More neuro clinic and another afternoon resident wellness day…. As it was Tuesday, our day began with an educational lecture and, today, it was Whitley’s turn to give a talk. She had chosen to talk about epilepsy with a focus on treatment and had also included information on available dosages as well as cost of medications which is such an important factor here. The cost of the anti-epileptic drugs (AEDs) varies widely from phenobarbital, carbamazepine and phenytoin being the least expensive, costing perhaps less than $4/month for an average dose to medications such as levetiracetam (Keppra) costing 1500 TSh (approximately $0.70) per 500 mg tablet. That would equate to a monthly cost of $42 for a low dose of 500 mg twice daily up to $84 for a frequently prescribed dose of 1000 mg twice daily. Levetiracetam is a medication that is used quite frequently in the US, as it is a wide-spectrum medication that treats many different types of epilepsy, is well tolerated, is easily titrated and is relatively safe for pregnancy. 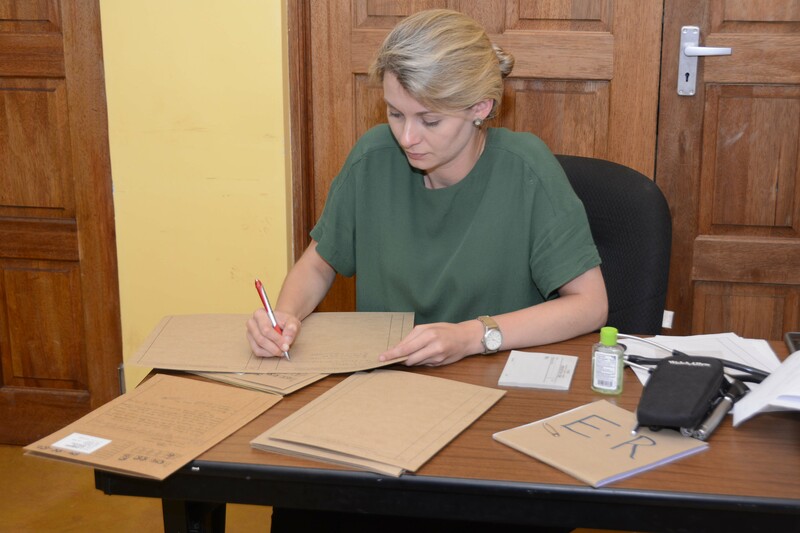 It was unavailable here for the longest time and now that it is, we have to consider the cost, as it is out of the reach of many, if not all, families here where annual average income may be less than several hundred dollars for them. Making a great diagnosis and then placing the patient on medication that completely controls their epilepsy is pointless if they return in one month to refill their prescription, but cannot afford to do so. Our plan has always been to help subsidize the cost of medication for families that can’t afford them, but we haven’t managed to make this fully operational just yet. When we prescribe one of the more costly medications for a patient now we have our social worker meet with them to assess their ability to pay for meds in between our visits. Susan, co-founder of FAME with Frank, was there for the lecture and was so happy to see that Whitley had included this information on cost, as this has always been an ongoing battle here. Sensitivity to the cost of treatment is certainly one of the big lessons here and has to be considered not only when prescribing, but also when considering ordering tests that will only discover a condition that one is unable to treat due to the cost or lack of availability here in country. This is only one of the many lessons we learn here that can also apply to how we practice back home. After Whitley’s lecture, it was time for morning report and there was good news on our young patient with tetanus as he had very few spasms overnight and the medication regimen that Neena had recommended was working quite well for his symptoms. 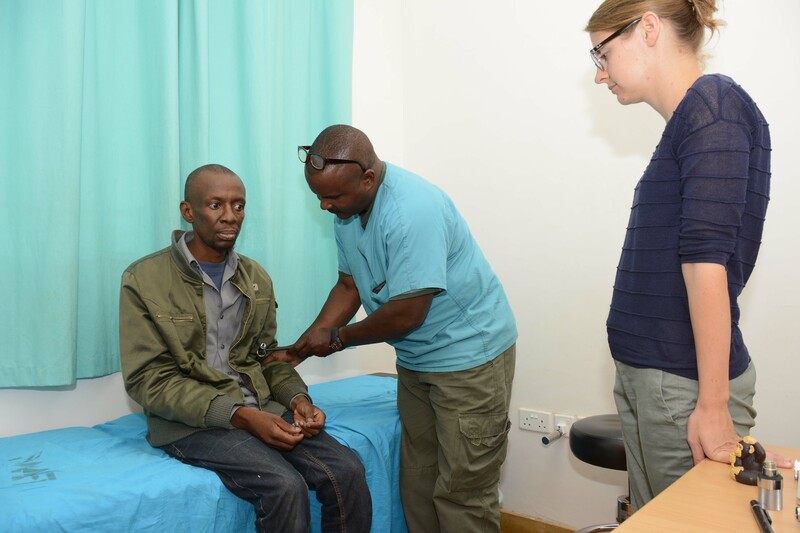 Our hope was that he would be able to be discharged as long as he was still well controlled on oral medications that hadn’t yet been tried and would be shortly. 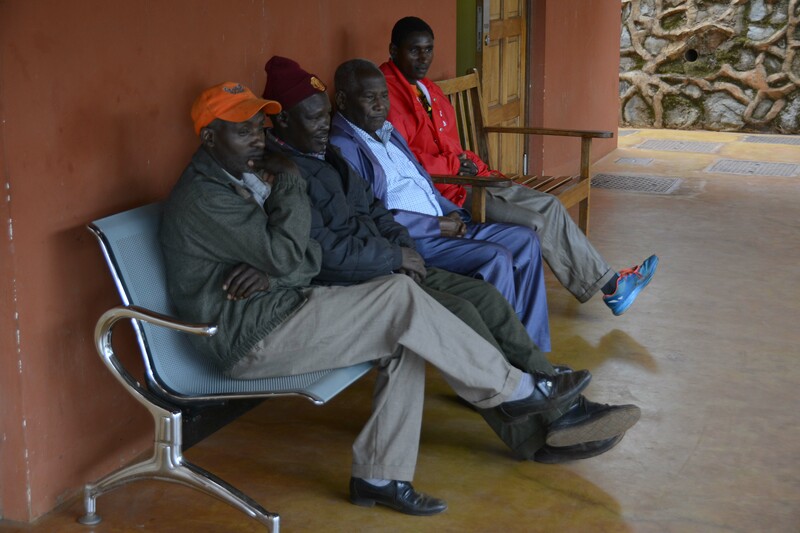 Following morning report, we got down to the business of seeing outpatients, again working with both Emmanuel and Baraka as interpreters while Dr. Ivan was going to spend the day with us again as well. Several children had again been brought by the volunteers from the school for impaired children south of town near Qaru. One interesting case in particular was a young boy with developmental delay and fairly obvious macrocephaly. They had been seen elsewhere and were told that there was nothing wrong, but regardless of whether there was anything to do or not, the boy clearly wasn’t normal. He was three years old and the issue we were confronted with was whether there was any reason at all to image him to decide whether he had significant hydrocephalus or not. We certainly were curious as to whether this was the case, but if we weren’t sure that we would recommend shunting if we found hydrocephalus at this age, then there was no reason to send him off for the study. It was a tough decision and neither Sara nor I knew the right answer, so she consulted with one of the attending neurosurgeons at CHOP for his opinion. We had our answer very shortly thereafter that even though it would have been best to have performed a shunt much earlier in life, we really couldn’t rule out that if he did have hydrocephalus (which both of us felt strongly he did) that it wasn’t playing a role in his developmental delay. Essentially, if he did have hydrocephalus on the CT, we would recommend having a shunt placed that could potentially help him. 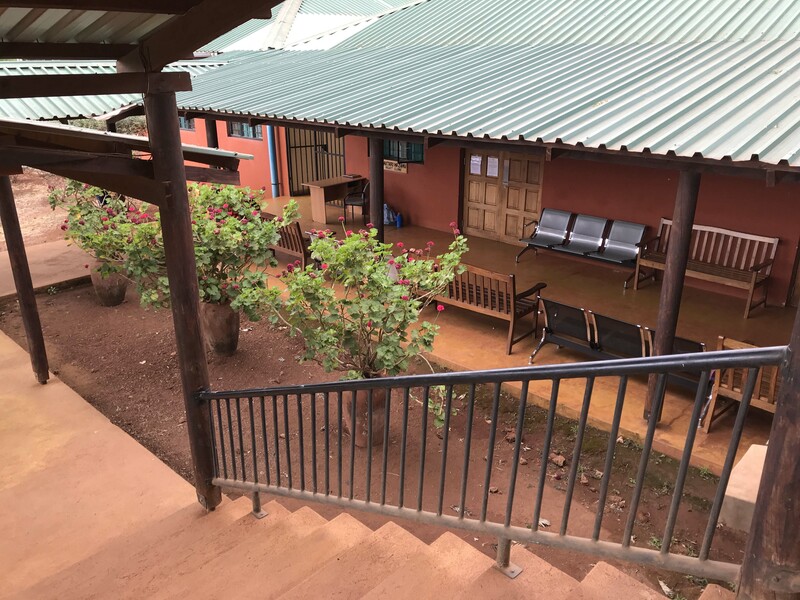 Since we were leaving in a few days, we would give the information to Dr. Gabriel whom we knew would follow up on it with the school and family. Since today was the second of our resident wellness (half) days, we worked until lunchtime and by popular vote, it was decided that we would head back up to Gibbs Farm for our final visit of the trip to experience their amazing lunch buffet. As I’ve mentioned before, this is something that should not be missed if you are ever volunteering at FAME, or just simply passing through. I am not exaggerating when I tell you that there are probably 25 different salads and entrees that are all amazingly delicious and all are tremendously fresh and local grown. And there is the soup. Soups in Tanzania are something to behold and they are a staple at every meal, especially at the lodges and when on safari in the tented camps. Today’s soup was a ginger carrot that was thick and tasty. We all had seconds (and some had thirds – read Alex and Ke) and then it was finally time for desert. At the last lunch they had something called “self-saucing chocolate cake” that was to die for if you are a chocolate lover and even if you are not. It is essentially what we call a lava cake and we were all hoping that they would not let us down and would have it again. They did, and it was the highlight of the desert table along with the delightful and light white chocolate mousse. I won’t rat on who liked these most of all or had seconds of desert, but leave it say that there were several chocolate lovers in the group who were in chocolate heaven. It was once again an incredibly relaxing time and the perfect wellness day for the residents as well as those of us who accompanied them to this affair. I have no doubt that the ACGME would have wholeheartedly approved of this use of the day. Before we knew, it was already 4pm and time to run into town as I had mentioned that we could go to a fabric store to have some things made and everyone was very excited to do so. This can always be a tricky proposition as most of the women working in the fabric stores speak no English and trying to convey what you would like made can often be difficult with lots of sign language. Bringing along someone from FAME to help us is essential so we had asked Selina in advance if we could pick her up before heading downtown to shop. It was almost the end of her shift, but she definitely made sure that I cleared her coming with us and leaving a few minutes early with all her supervisors. Once down, we were back on our way downtown in search of the proper fabric store. 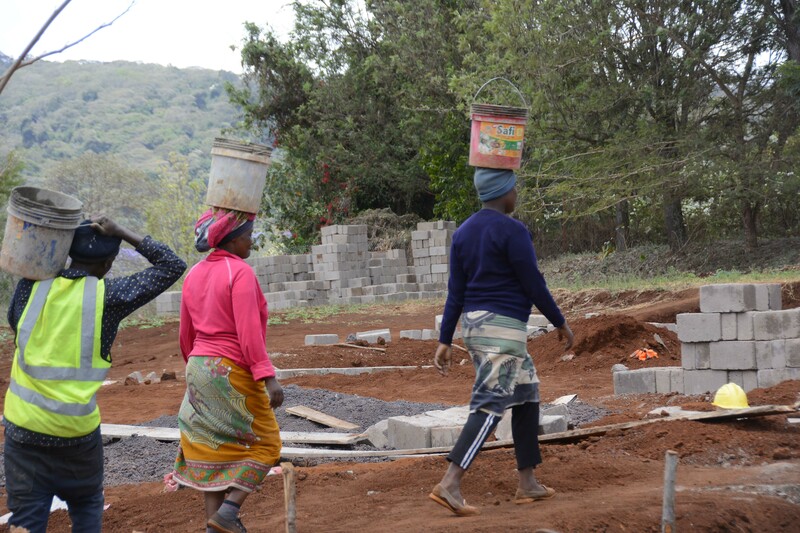 Since we were also leaving on Friday morning we had to make sure that anything they ordered would be done in time. I dropped everyone off in the center of town while I headed off to do some errands (fuel for the vehicle, convert some money and get more airtime for my phone), planning to meet them back in the same area. When I had returned, I didn’t have far to search, as the shop they had found was no more than ten steps away from where I had dropped them, and all three were there with Selina selecting fabric and ordering things to be made. Once finished, and making certain that everything would be done in time, we left town and headed back home to the Raynes House. Susan had invited everyone to their house (which sits just about the volunteer houses) for drinks and socializing after work along with some appetizers of samosas, popcorn, and cheese and crackers. We were all stuffed from our lunch, but most of managed to partake in some of the food as it was all delicious. The following day was Wednesday, which is the night that all the expats in town meet at the local pub, so we knew that we would be out late for that and decided to get some sleep. 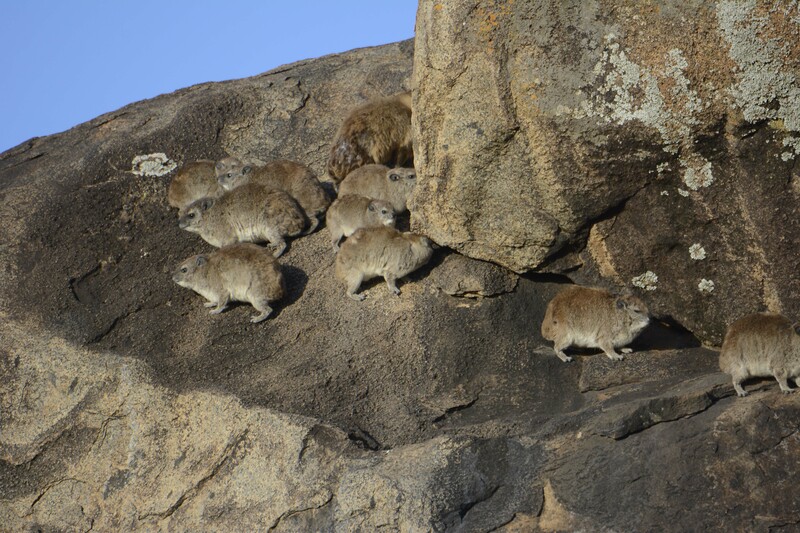 We had survived our trip to the Central Serengeti, including my kite attack on the crater rim, and had seen spectacular sights there that included the wildebeest migration. It was now time to get back to work seeing neurology patients at FAME. 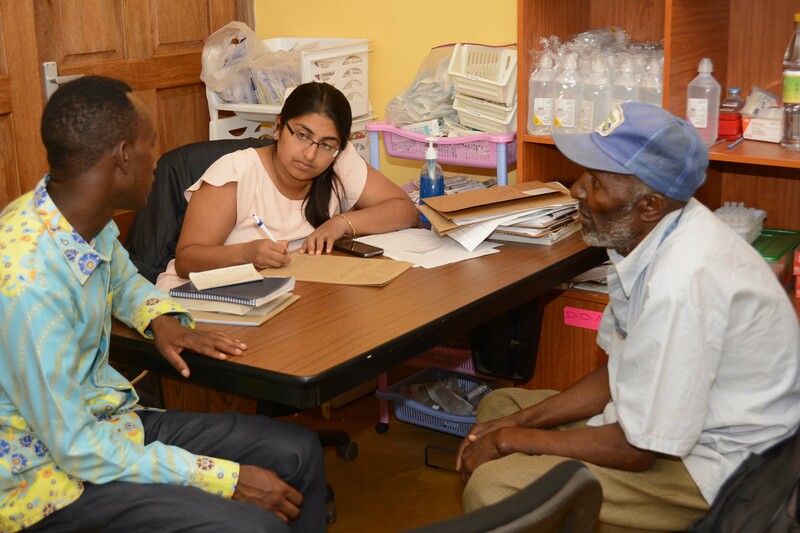 We had asked a number of patients who we had seen at FAME in the first week and a half of our visit to return during this final week to follow up on therapies we had instituted. This included seizure patients in who we had made medication adjustments or needed to check additional labs. It was probably not quite as busy at the start today as it had been during our first scheduled week here, but the volume was quite steady throughout the day necessitating that we again run three rooms. Dr. Ivan was going to work with us today and he was paired with Neena, while we had Baraka and Emmanuel working with us one again. 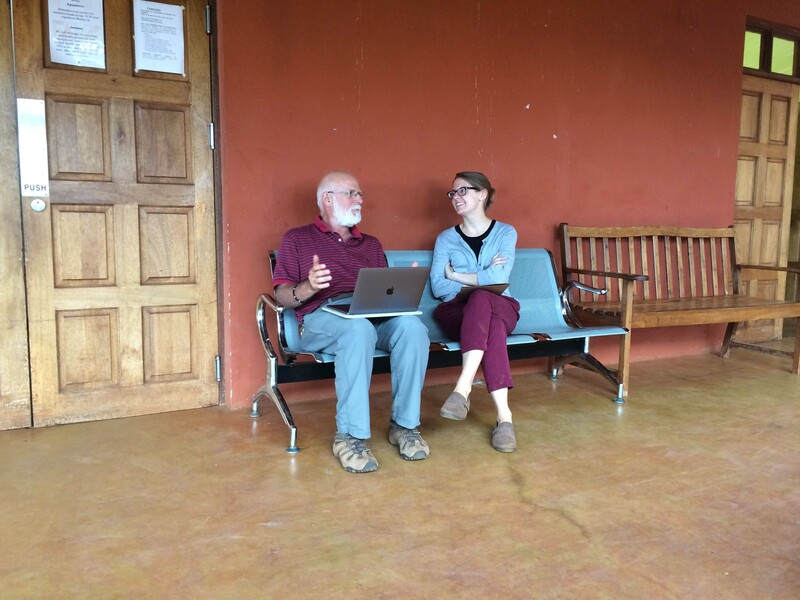 These two translators have worked with us tirelessly for the last several weeks and have been indispensable. Without them we would not have been able to see the number of patients we have seen. 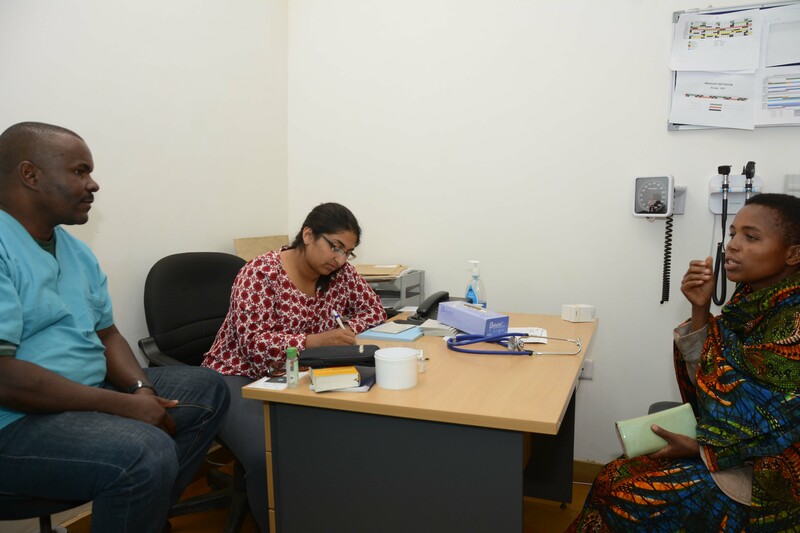 We’ve also been able to work with at least one clinician everyday instructing them on the neurologic examination and neurologic diseases. An interesting patient seen by Sara today included a young boy who was accompanied by his caretaker and had been unable to walk for the last five years. They had originally stopped me outside to show me his MRI scans that had been taken to ask me if there was anything we could for him, but without taking a history or examining him, there was little that I could tell them. After Sara took a good history, it was clear that the boy had had tuberculosis that had affected his spine (Pott’s disease) and he had suffered complete collapse of his fifth thoracic vertebrae with compression of his spinal cord. Essentially, he had a nearly complete transection of his cord at the T5 level with paraplegia and a T5 sensory level. Their question, of course, was whether we could do anything for him or whether there any chance of him improving and we had to give them the news that he would never walk again. We were able to give him some symptomatic medications, though, for his spasticity, that would hopefully be helpful. 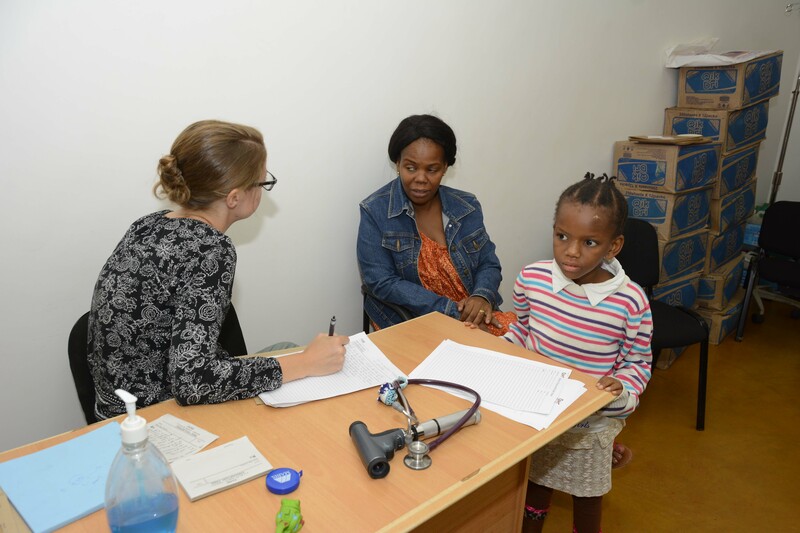 Another child Sara evaluated today was a young girl from Dar es Salaam with a very severe epileptic disorder that we’ve seen in the past and who has been on a multitude of medications. One of our previous pediatric neurology residents has continued to be involved in her case and it was believed that she likely had a progressive epileptic encephalopathy, though she had responded to medications after her last visit and was now improving somewhat suggesting that her cognitive issues may well have been related to her frequent seizures rather than a degenerative disorder. That was certainly very good news and, though, she was still not a normal child, she was still functioning significantly better than when she was previously seen and her prognosis was better than previously believed. Whitley and Emmanuel examining a patient. 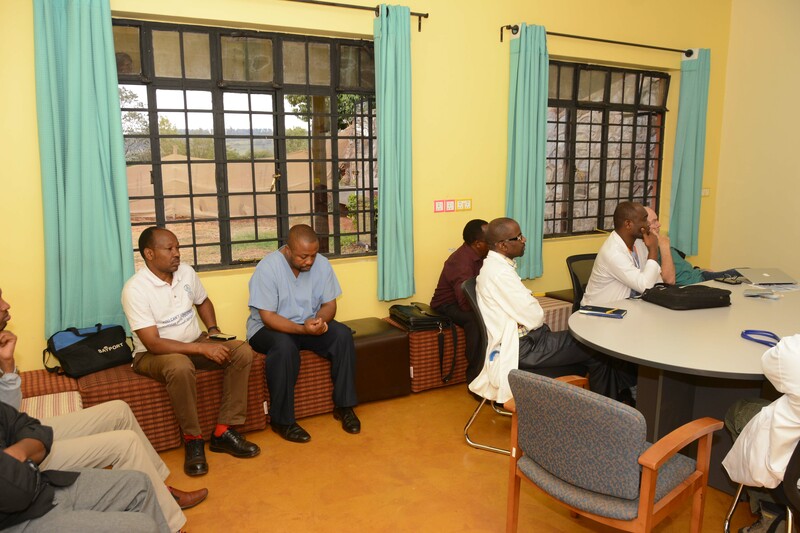 Another group of patients today had been brought by Dr. Elibariki Lucamay, a very caring general surgeon in Arusha who I had met last March and who had asked about bringing some of his neurological patients to FAME to see us when were here. He brought three seizure patients for us to evaluate, all of whom had been diagnosed perfectly appropriate and were on the correct medications. We made some minor adjustments in doses and recommendations for labs to avoid toxicity, all of which we not only communicated to the patients, but also to Dr. Elibariki who will continue to follow them going forward. We will very likely see them again in March when we’re here, but I’m very confident that they will have excellent care in the meantime. 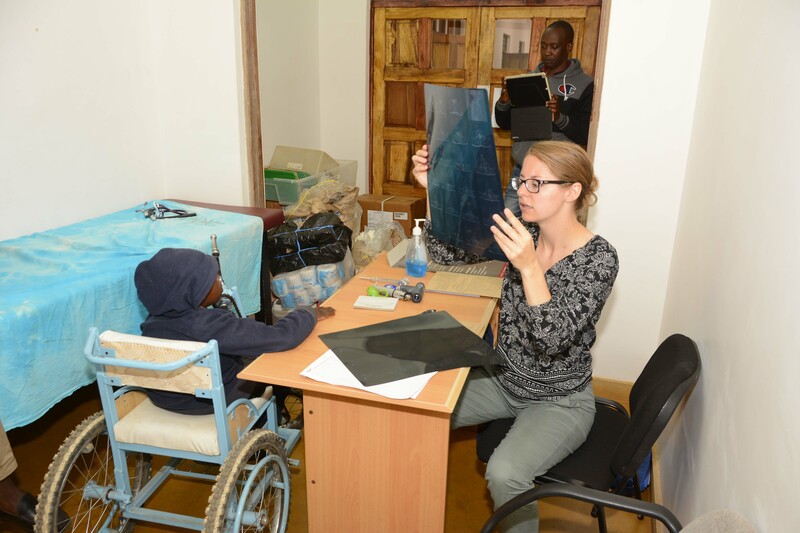 Sara continued to have a busy day as a group of children had been brought from a special school for neurologically impaired children south of town in the direction of Qaru where we had been last week. 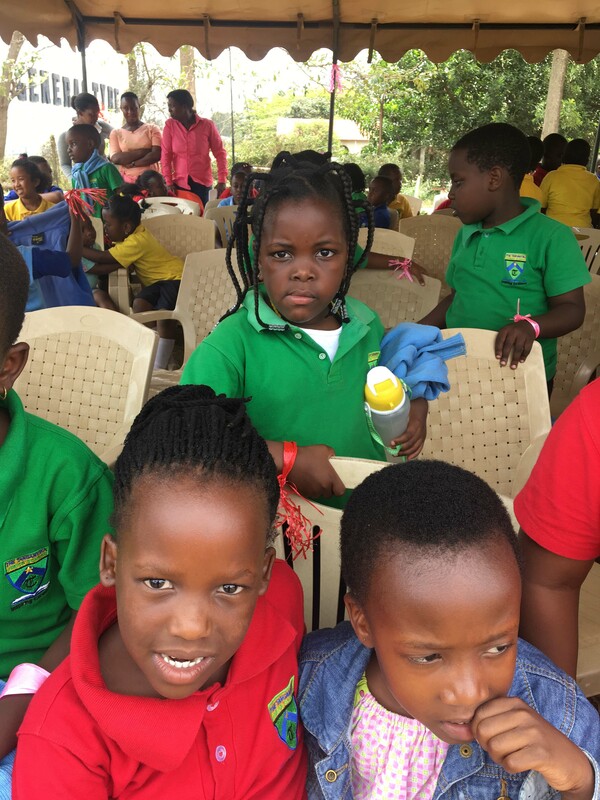 These children don’t live at the school, but rather with their families and are assisted in their care by the workers at the school who work for an NGO. One of the young girls was clearly autistic, while another young boy had seizures, and a third child was quite delayed with some focal abnormalities and probable cerebral palsy. Interestingly, the mother of the young boy with seizures was very insistent on having a CT scan performed even though the boy had a normal examination and his seizures were not recent nor were they difficult to control. The day was busy and I believe we ended up seeing another 30 patients which is pretty much our maximum for day here and can be seen in a reasonably comfortable manner making certain we are able to have lunch. They do have teatime here in the British fashion as this was once a British colony and this is no doubt left over from that era. They serve chai masala, a very sweet African tea with lots of cardamom and other spices that is simply to die for (as every resident who has been here with me can attest to) and coffee along with white bread and butter. I’ve never quite understood the bread and butter, but we’re always happy to grab some of the chai while working seeing patients. The mandazi that is so remarkable ended up not being made during the month as the normal cook, Samweli, who I have known forever here, was on his annual leave while we were here. 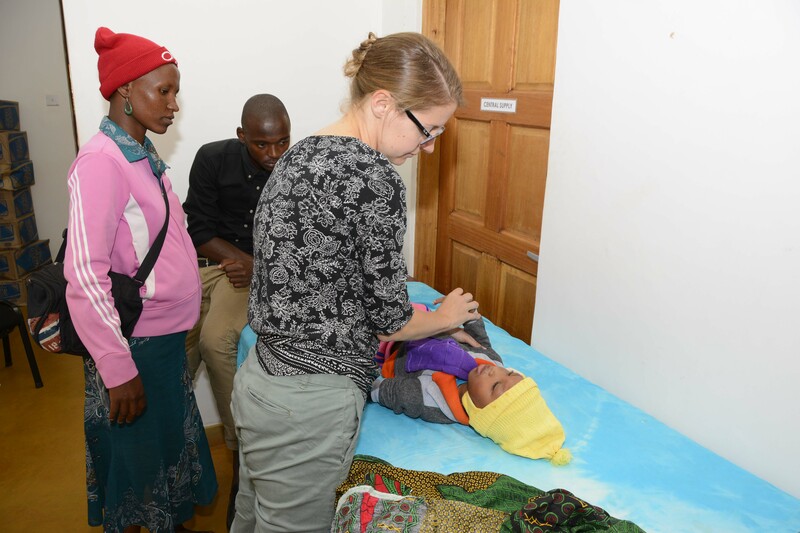 Sara and Baraka evaluating a young patient with mom and school worker looking on. We had decided to spend the evening working as Whitley was giving her lecture on epilepsy tomorrow that she wanted to finish and we all had some things to do. It’s so very relaxing at the Raynes House and it has been a genuine pleasure to have us all stay in one house and spend so much time together. We’re always able to catch the sunset from our veranda or the kitchen window at the end of the day, reminding us of how lucky we are to be here doing what we’re doing. We are in the final stretch of our time here and only have a few more days to see patients.